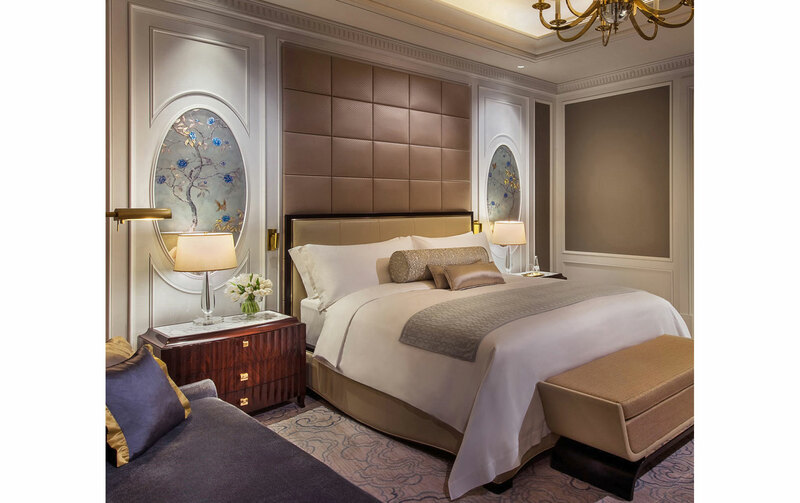 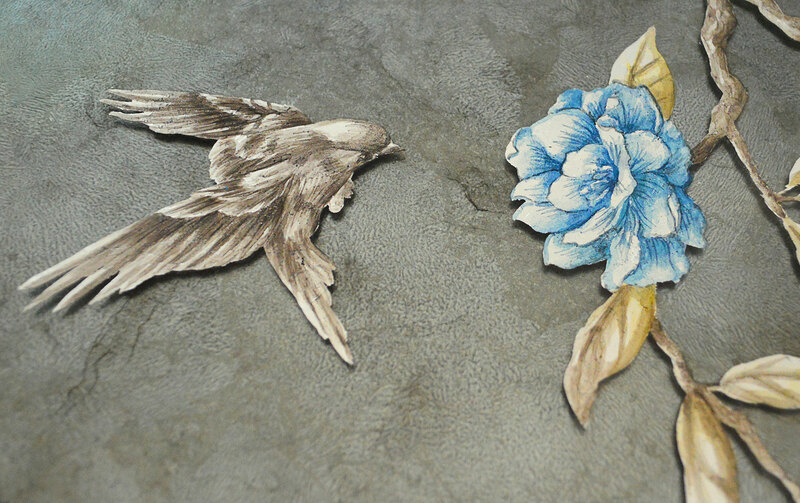 These panels are the amazing work of Gorman Studios for a Luxury Hotel project in Macau. 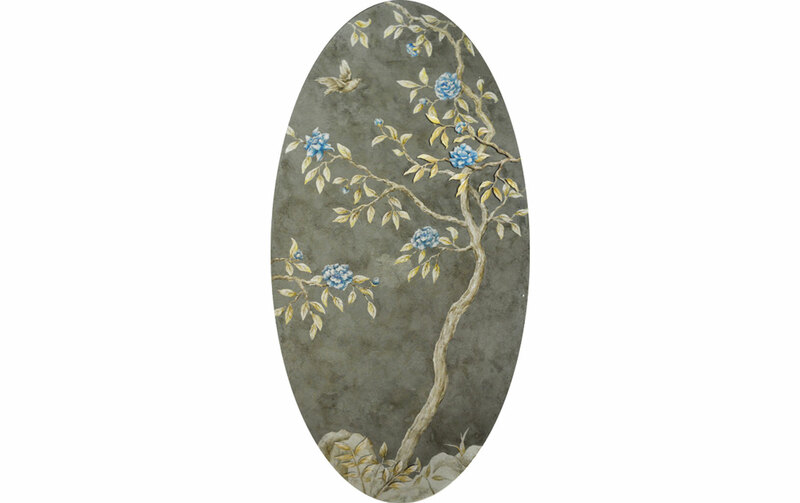 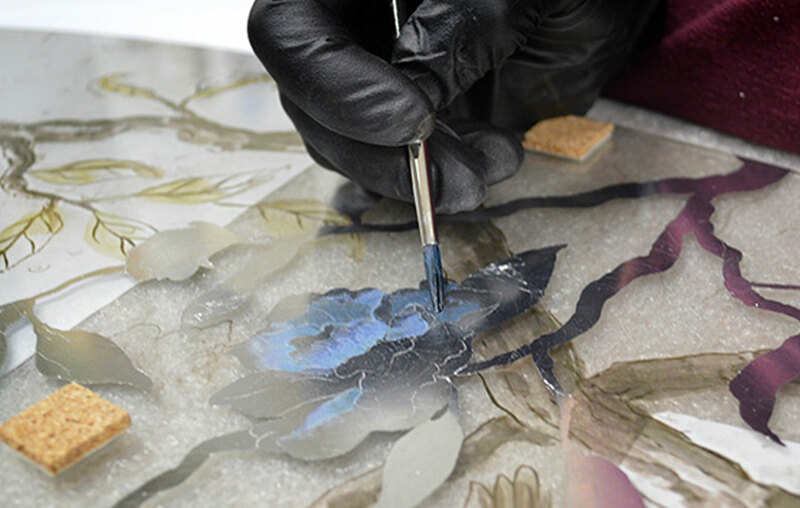 The Verre Églomisé oval hand painted panels depict a natural backdrop in silver and blue tones. 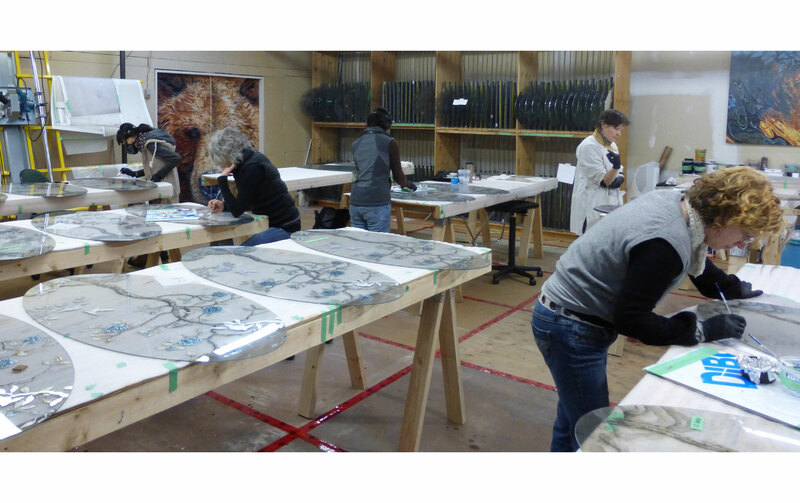 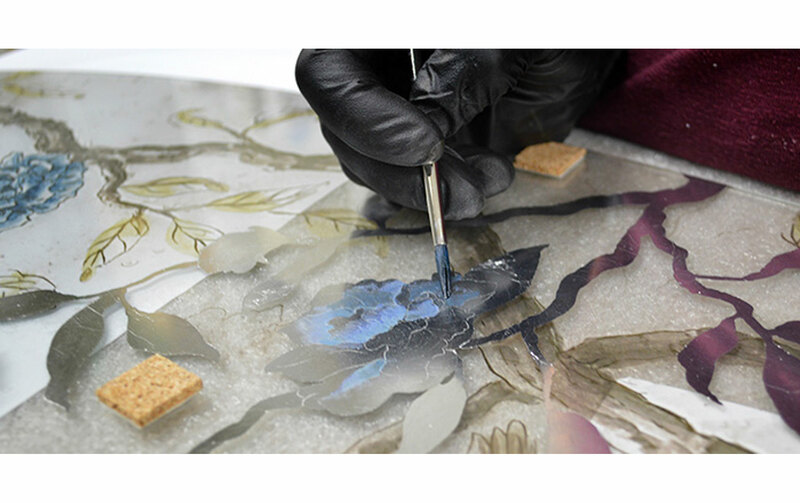 Custom made, Verre Églomisé panels can be supplied in multiple sizes and finishes.